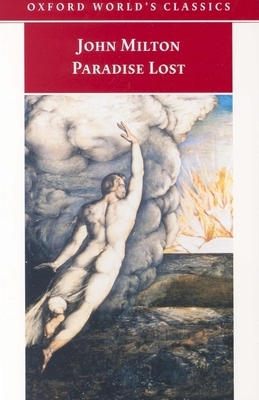 From almost the moment of its publication in 1667, Paradise Lost was considered a classic. It is difficult now to appreciate how audacious an undertaking the epic represents, and how astonishing its immediate and continued success was. Over the course of twelve books John Milton wrote an epic poem that would "justify the ways of God to men," a mission that required a complex drama, the source of which is both historical and deeply personal. While the struggle for ascendancy between God and Satan is played out across hell, heaven, and earth in the work, the consequences of the Fall are all too humanly tragic, with pride, ambition, and aspiration being the motivating forces. In this new edition derived from their acclaimed Oxford Authors text, Stephen Orgel and Jonathan Goldberg discuss the complexity of Milton's Paradise Lost in a new introduction. They contextualize Milton and his poem, discuss its structure and language, and provide a summary of critical responses to the poem since its initial publication. They also include on-page notes to explain the poem's language and allusions. This modernized edition of one of the most influential works in the English language will truly bring to light Milton's genius for today's reader. Stephen Orgel is Jackson Eli Reynolds Professor in Humanities at Stanford University and the author of Imagining Shakespeare. Jonathan Goldberg is Sir William Osler Professor of English Literature at Johns Hopkins University and the author of Reclaiming Sodom and Desiring Women Writing: English Renaissance Examples.